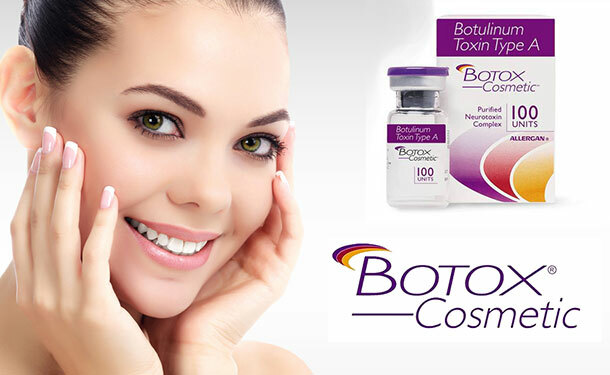 The name BOTOX® is actually originated from the word ‘botulous’ – which means sausage. It is the brand name of a toxin generated by the bacterium Clostridium botulinum. In large volumes, this toxin can cause a form of muscle paralysis known as botulism, which is usually associated with food poisoning. Even though one of the most severe complexities of botulism is paralysis, scientists have found a way to use it to human advantage. Small diluted amounts can be directly inserted into specific muscles, causing controlled recreation of the muscles. Most of the cosmetic physicians have been using BOTOX® for years to successfully tackle wrinkles and facial creases. It is generally used for treating frown lines on the forehead, crow’s feet, axillary hyperhidrosis, bunny lines, chin, skin bands on the neck, and around the mouth. Wrinkles caused by sun and gravity often will not respond to BOTOX®. It is important to re-emphasize that BOTOX® is not a facial filler – it merely relaxes the muscles that are creating those wrinkles.